The modification changes the standard headlight color to green. 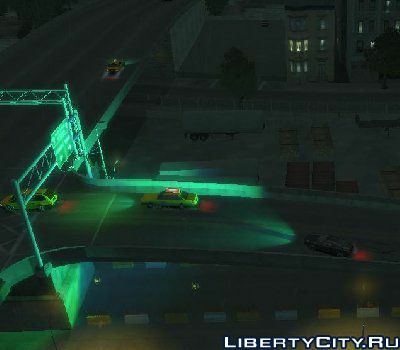 Xenon HID Headlights - Xenon light for the headlights of cars, plus a new light for the headlights in GTA 4. Chuck Green (Dead Rising 2) - the main character of the hilarious game about zombies. Features: replaces only the head of Nico, hence the compatibility with any clothing Bellik. There is facial animation. Motorcycle from the "Throne" - the same luminous motorcycle, which dissects the heroes of the cult in the narrow circles of the movie TRON. In the archive there are versions of different colors (red, white, green, pink, etc.). +1, CHESTER Ты лучший! Братан сделай мод для отрыва частей тела плз!! !